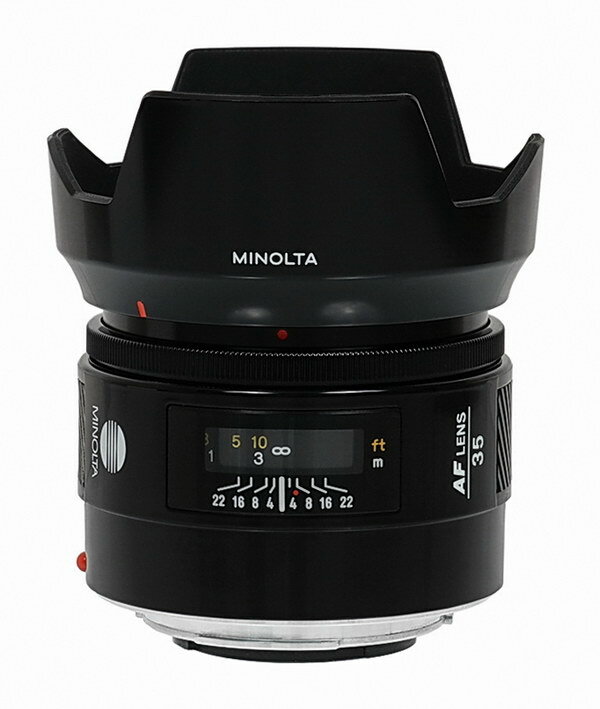 Check out the review of the Minolta AF 35mm F/2 lens, which turned in a stellar performance. This diminutive wide angle lens is as close to perfect as you can get on an APS-C camera, and almost as good on a full frame camera. For landscapes, I'd prefer this lens to the much more expensive Sony 35mm F/1.4, and you can see the differences in a comparison review here. If I were shooting hand held low light scenes, I'd choose the one stop faster Sony 35mm F/1.4, that would possibly keep you from using a high ISO and having a mess on your hands. In other news, I'm afraid the Sony 300mm F/2.8 G review is not going to happen. I just couldn't get a firm date with the owner. I usually need a couple of weeks to shake down a lens, so if there isn't enough time to properly test it under varying conditions, it may wind up being a waste of time, for both of us. If you own a $6000 lens, you ought to be making money with it, when it sits on a shelf, it's a waste of money. I suspect most people who buy the Sony 300mm F/2.8 G are rich amateurs. They use it for a few weeks, then tire of holding 5lbs of metal and glass, then either sell it or let it collect dust in the closet until they die, then the children sell it. I buy $1500 lenses and let them sit in the closet, then sell them, so I guess I'm one step up from them, or is it one step down? A few people wrote to me and said my entry yesterday was off base because dpreview said the new lenses were "pre production" and scheduled for a 2010 release. I didn't base the information written yesterday on what dpreview put out, I read the Sony press release, then wrote my comments. Below is the Sony press release concerning the DSLR stuff. I've highlighted the key words they've used to indicate they don't have anything ready yet. Apparently, I was about the only one who actually read the Sony press release, and didn't just take the word of other website editors. The word "Concept" in my opinion means the lenses or camera bodies have not been fully developed or designed yet, and will require many months before a prototype is put forth. I'm thinking the word "prototype" below means a non-working or crude model not quite ready for pre-production. Several months will be needed to bring a prototype up to full production standards. Usually, Sony will say something like "available mid-year" or "coming in the Spring of 2010" or whatever. When they don't give any information on a release date, it's obvious they aren't sure themselves, or are trying to gauge interest. As always, time will tell!! ANAHEIM, CALIF. (PMA #2220), Feb. 21, 2010 - Sony is exhibiting an array of innovative digital imaging products at the Photo Marketing Association (PMA) 2010 International Convention, including a concept model of the new compact α (alpha) DSLR camera system that employs an ExmorTM APS HD CMOS sensor, which provides full AVCHD video capability. New concept α products being shown include an ultra compact model with interchangeable lenses, additions to the α family (including a successor to the α700), along with new TX5 and H55 Cyber-shot® cameras, new printers and other accessories. In addition to the current DSLR-A230, A330, A380, A500, A550, A850 and A900 digital SLR cameras, the following concept camera bodies and interchangeable lenses will be exhibited. Current interchange lenses, including Carl Zeiss® and G lens products will also be on display. Sony once again offers some "conceptual" products. One of those products is a Carl Zeiss Distagon 24mm F/2, which was first offered up (called "large aperture wide angle fixed") at a 2007 trade show, and a 500mm F/4 lens, (also shown a couple of years ago) which I estimate will have a $7000-$8000 price tag. Other conceptual products are an upgrade to the A700, with HD video, coming this year hopefully. 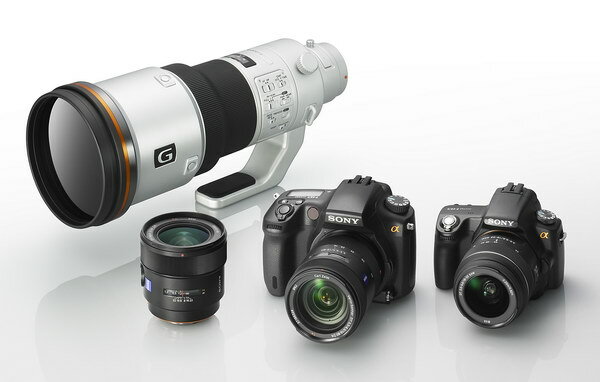 I wonder why Sony discontinued the A700 last year when they didn't even have a replacement in the pipeline? Sony will launch an ultra-compact mirrorless interchangeable lens system sometime in the future, the claim is it will be an APS-C sized sensor, not the micro 4/3 format. Sony should have thought of this a couple of years ago, I think it's the wave of the future, but Sony is once again behind the curve. If I sound a little down about this latest Sony news release, it's because I am. Floating an intermediate replacement camera body and super high-end "conceptual" camera lenses with no clear release dates isn't going to generate any excitement for current Sony DSLR users, or potential new users. Sony just doesn't seem too serious about building a good reputation with entry level and intermediate users, much less any real pro users. How about coming out with a 300mm F/4, 70-200mm F/4, 24-105mm F/4, 16-35mm F/4 (think Nikon), maybe an 85mm F/1.8, or a newly designed 50mm F/1.4 for crying out loud? A lot of people don't have several thousand dollars to spend on pro lenses, and would be better off (and probably happier) with a smaller, lighter and less expensive lens. Based on some limited knowledge, floating "conceptual" products like this keeps the manufacturer from producing something that can't generate a profit. For example; Sony waits to see what kind of interest the product generates after the announcement, like when consumers call their local camera stores expressing interest, then those stores try to place orders, and from those orders they determine the potential market. It's possible you may never see conceptual products if the interest isn't there, that may be why we haven't seen some of those mock-up lenses from three years ago, and are only now seeing a couple of those lenses make it to a working model. In the coming months we'll see what kind of interest those lenses have; look for mid-year release with strong demand, and no release and no explanation with weak demand. Darn it! I usually like to do the full review of a lens before I try any comparisons, but the Minolta 35mm F/2 is so good, I can't hold back! This comparison is between the super expensive Sony 35mm F/1.4, and the medium priced Minolta AF 35mm F/2, which is getting awfully hard to find lately, now I know why! I'm assuming Sony is actually selling some copies of the 35mm F/1.4 at the price of $1370, so based on that, the selling price of an updated Minolta 35mm F/2 (carrying a Sony "G" or CZ label) would probably be around $800. The Minolta AF 35mm F/2 is very sharp at F/2, with only a hint of veiling haze, and is noticeably cleaner and sharper than the Sony 35mm F/1.4, @F/2. On an APS-C camera it's almost perfect. What's really great is it's about half the weight of the Sony model. If this lens received modern lens coatings and some coma reduction, (boat loads at F/2 on FF), it could easily carry a Carl Zeiss or "G" label. The Sony 35mm F/1.4 has been updated with newer coatings, and is better at controlling ghosting. It's also sharper in the extreme corners at wide apertures than the Minolta, but the Minolta is better in the mid-to-outer frame area, and by popular demand, I've added those crops to this comparison. Check out the interesting comparison review between the Sony 35mm F/1.4, and the Minolta AF 35mm F/2 here. We've had some cloudy and rainy weather here in Tucson this past week or so, now I'm finally getting caught up on my jobs, (real paying jobs that is), and soon I'll have time to finish up and post either the comparison between the Sony 35mm F/1.4 and Minolta 35mm F/2, or the complete Minolta 35mm F/2 review, I'm not sure what I'll be putting up first. I'd like to share a few random thoughts concerning the ghosting and veiling glare of a few lenses, all reviewed here. For Real Estate jobs, I've been using the Sony A700 and Sigma 10-20mm F4-5.6, and they've been working out pretty good. My only complaint is the mustache distortion at the wide end on that lens, it's really hard to fix in post processing. When I'm comfortable with something, I usually don't change things, but I have a couple of super-wide zoom lenses around the house, and thought I'd try them out and see if I could find one that has a better distortion curve and ghosting control. Since I have the Sigma 12-24mm full frame lens, (which has normal barrel distortion on the A700 at wide angle) I thought I'd do something crazy and actually use it on a job! After examining the photos on the computer screen, the Sigma 12-24mm lens seems to be a little soft on the far left side at certain distances. Additionally, ghosting artifacts are slightly more noticeable than on the Sigma 10-20mm, so there is no real gain in switching to the 12-24mm in my opinion. I then decided to use the A900 and CZ 16-35mm and see what happens. I don't normally use the A900 for Real Estate shots, because you don't need 24 megapixels for an 8.5x11" flyer. So off I go to the job and start shooting. Like a fool, I didn't bring along another lens "just in case" things went bad, (Ive never had anything go bad, but I doesn't hurt to be prepared). I noticed very quickly that ghosting and veiling glare was much worse than the Sigma 10-20mm, and when shooting with very bright light, such as furniture in the foreground and large windows in the background, or bright accent lighting, the image is almost unusable. Ironically, when I finally decided to use some real "pro" equipment, like a $1900 lens, (CZ 16-35mm), and a $2700 camera, (A900) I came close to blowing the job. Luckily, I had enough alternate shots to be able to offer a decent set. Lesson learned; use what works best for each situation. I'll provide more detail on this subject later, but for indoor shots with bright lights, the Sigma 10-20mm F/4-5.6 produces a very clean image, and easily beats the much more expensive lenses (mentioned above) when used in this way. I finally have the 35mm comp done. This time you can check out the differences between the CZ Sony 16-35mm @35mm, and the uber expensive Sony 35mm F/1.4. Surprisingly, the CZ holds up very well when comparing the centers, even wide open at F/2.8. The corners are a different story, and the Sony 35mm is sharper at F/2.8-4, which is just the opposite of what I was expecting. Light fall-off is somewhat strong on the CZ at 35mm when looking at the 100% corner crops, the Sony 35mm has none. Go here for the review page. I'm now going to conclude the comparisons using the Sony CZ 16-35mm F/2.8. I think I've covered all the relevant lenses. I'm very happy with the overall performance of the 16-35mm. The primes are a little better in the corners, both in sharpness and light fall-off, but really only visible viewed at huge sizes. The Sony CZ 16-35mm retails for about $1900. If you bought the Sony 20mm F/2.8, Minolta 24mm F/2.8, Minolta 28mm F/2 (better than Sony 28mm F/2.8) and the Sony 35mm F/1.4, you would still expect to pay about $2700 new, and at least $2000 used. Factor in the convenience, and the 16mm focal length you can't get currently in a prime, (fish-eye excluded), and the Sony CZ 16-35mm is a bargain. Next, I'll start some comps with the Sony CZ 24-70mm F/2.8, and use the Minolta 24mm F/2.8, Sony 28mm F/2.8, Sony 35mm F/1.4, and the Sony 50mm F/1.4 and see what we get! Time for a few random thoughts about what's coming up, and the rumors about what Sony will introduce before the PMA show later this month. I'm still working on the Minolta 35mm F/2 review, and a comp between the CZ 16-35mm and Sony 35mm F/1.4, which I'd like to post next. It's been cloudy with some occasional rain here for the last couple of weeks, so I haven't been able to complete any reviews, hopefully I'll be able to get on it this weekend. 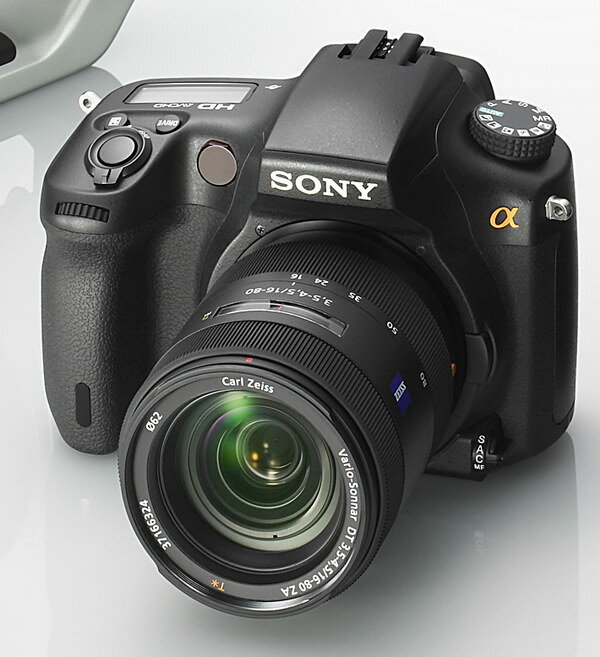 As far as Sony rumors go, I don't know about any new products, but I'd like to see a replacement for the A700. Some folks are wanting video capability on the DSLRs, I really don't care, I wouldn't use that feature. Also, I hear Sony may join the micro 4/3 format, that would be really good. I don't know about you, but I'm getting tired of carrying around my DSLRs, and have more recently been enjoying my camera phone more than my real cameras. In fact, I may go ahead and get a 4/3 mirror-less design, like the Panasonic GF1, or Olympus Pen, with the pancake 17mm lens, and maybe the kit lens too. I probably wouldn't get the telephoto zooms offered simply because they don't seem to be too enticing, as the whole idea behind the Micro 4/3 systems is the small size, and the regular size lenses destroy the size advantage. It seems Sony might have problems "moving" some lenses, such as the new 28-75mm F/2.8, (now $649) because they're offering $150 off from now until Feb 27th I think. B&H photo and Adorama have this lens listed with the $150 instant rebate, but the SonyStyle.com store has no such price reduction, they do however have six other lenses marked down, all "DT" lenses. One item to note; the Sony 16-105mm is now $499, which performs as good as the $749 Carl Zeiss 16-80mm, depending on what your demands are, go here for a comparison. If you're thinking about buying, I'd appreciate it if you would use my B&H link above, which helps me help everyone! Oh Dear! Amazon.com must've gotten fed-up with dpreview's camera rating system, now they want them to change it. I guess they got mad at the occasional "recommended" rating for their cameras instead of the more appropriate "highly recommended" rating. Read their spiel for a good laugh. I see Tokina is going to market a "DT" lens for the Sony mount, it'll be the 11-16mm F/2.8, probably the same as the Canon and other mounts, though the price point is listed at $1046, that seems like way too much money. The weight comes in at 560g, so it has some heft. According to the Japanese language website, it has 13 elements in 11 groups, a poor reproduction rate of 1:11.6 or 0.086x, a 77mm filter, minimum aperture of F/22, a FOV of 104°-82°, and 9 aperture blades--that's good. I forgot to mention in the last update that I've moved the Sensor cleaning article to the lens review page, it's in the bottom right square. I don't know about you folks, but I'm not cleaning my sensor much anymore unless there's a huge blob visible in my pictures somewhere. It seems after a while, the dirt doesn't get any worse, and I just learn to live with it. Plus it doesnt' usually show unless you're using a small aperture. You may notice the B&H Photo link above. Use that link to buy your camera goodies (or anything else) and it helps me to keep adding to the site---of course it doesn't cost you a nickle more. I've been thinking about adding that link for quite some time, and people have written to me to ask why I don't have a link to B&H, and that they would use it as a way to donate etc. To give you an example as to how lame I am; people from B&H Photo actually contacted me and said "hey dork" if you become an affiliate, you can help generate some income from your site! So after three years of procrastination, I now offer you the link!